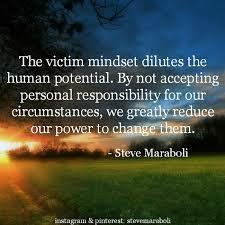 You don’t have to be a victim any longer, it truly is time for you to take charge of your life. We humans have great times of suffering, for some the enduring challenges are greater than others and always somewhere buried in the pain we become a victim. For a time concealing our emotions while we fall victim to someone else’s behaviour perhaps is necessary, but staying steadfast in energy which will not serve your Soul, over time will only bring you more heartache. You have the power to change your life, there is no one who can do this work for you. You might find people who help you to understand the reasons for your sufferings but those teachers will be few and rare to find if you are not willing to be a participant in your Souls growth. To overcome your internal wounds you must recognize where you are turning your power over to someone else. Don’t give your power away to anyone through blame or resentment. A time will come when your Soul will ask you to take responsibility for your grace, there is no reality that will work for you if it does not support you taking responsibility for your own happiness and well being. Your Soul Work in this life experience is to understand and embrace empowerment, this work will include emotions such as faith, trust, courage, and fearlessness. There is a new paradigm hard at work in this world, one which will bring great change, not only individually for our self, but for society as a whole. If you are in a great healing process, then you can be sure you are completely supported in this process. You have a spiritual team assisting you on your journey, trust they have your best interest at heart. Healing our Soul is a process, just like the road to physical recovery when you are ill, you must surrender to patience it is a necessary part of the process. You have the power to change your life, believe this to be true, chant it to yourself so you may stifle the ugly voice inside of your head, the one which is manipulating you to stay victim to your wounding.